The Constituent Assembly may have been unrepresentative, but the appropriate response would have been to call new elections. This the Bolsheviks had no intention of doing. The soviets were no substitute. They were less representative than the Constituent Assembly, which was elected by universal suffrage. Far fewer votes were cast for the soviets than were cast for the Constituent Assembly. The soviets, by their nature, disenfranchised vast numbers of people who were not workers, peasants, or soldiers. I remember reading Trotsky’s Terrorism and Communism where he described how the soviets would govern, and I recall him writing that direct elections would only take place on the local level. After that all of the higher levels of government would be elected indirectly. Furthermore, millions of people were to be officially denied the right to vote at any level because of their bourgeois background. Anyone who thinks that the Bolsheviks were in favor of political democracy should reread this book. Once the Bolsheviks took power, they were determined to keep it, regardless of the will of the workers, peasants, and soldiers. Or the rest of the population. It is true that the first soviet government included representatives from the Left SRs, but the Bolsheviks held all the levers of power. Since they were absolutely certain that history was on their side, it did not take long before they decided to rule by force. I read with great anticipation the articles on the Russian Revolution and its aftermath in Issues 62, 63, and 64 of New Politics and was disappointed to find that some important events during the period 1917-1921 were entirely overlooked or given short shrift. In 1920, Trotsky proposed that the Union of Transport Workers be transformed into a branch of the state bureaucracy, thus initiating what Stalin completed with all the unions some years later. The reaction to Trotsky’s proposal, and to the increasing distance between the Bolshevik “vanguard” and the factory workers they presumed to represent, was the formation that same year of the Workers’ Opposition (mentioned without elaboration by Shalom). With supporters in several cities, its leading representatives in the top party echelons were the metal-workers trade-unionist Shliapnikov and the radical feminist Alexandra Kollontai. They agitated for trade union autonomy and worker decision-making, rather than one-man rule, in the factories. 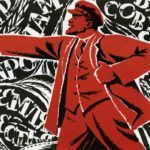 A year later, in 1921, almost simultaneously with Trotsky’s Red Army suppression of the Kronstadt sailors’ revolt for the restoration of soviet democracy, the Workers’ Opposition was terminated by Lenin’s angry but successful motion that it was heretofore illegal to form factions within the party. Harrison discusses this ban on factions, but without mentioning that it was almost explicitly aimed at the Workers’ Opposition. Vladimir Lenin and Leon Trotsky, though they were icons of New Politics’ WP-ISL precursors, should by now be de-lionized. The Bolsheviks, whose leaders were almost all intellectuals without any experience of factory life, claimed to be the vanguard of the factory workers. The whole notion of the Vanguard Party with its “democratic” centralism, invented by Lenin and adopted by Trotsky when he joined the Bolsheviks, should be subjected to thoroughgoing examination and criticism by those committed to revolutionary democratic socialism. To Norman Epstein’s claim that the repression of the Kronstadt uprising was the “unambiguous” sign that the Bolshevik state had become thoroughly repressive and, presumably, unworthy of socialists’ support, I can only reiterate the reasons given by Soviet leaders and overwhelmingly endorsed by the Tenth Party Congress: Conceding to the sailors’ demands would mean relinquishing power at a moment when (a) workers’ revolution in Europe was still a real possibility, and (b) there was no other organized political force in Russia capable of preventing a bloody triumph of the counter-revolution. These reasons seem plausible to me. Not only would international revolution have been nipped in the bud, but the form taken by counter-revolution in Russia would have been essentially that of fascism. The massive atrocities committed by the White Armies during the Civil War—described in my article—which included genocidal massacres of Ukrainian and Russian Jews and far eclipsed the worst excesses of the Cheka, were but a glimpse of what the old order had in store for Russia should the Bolsheviks fall. At the Tenth Party Congress, the same resolution by Lenin, “On Party Unity,” that called for a ban on factions also praised the “services of the Workers’ Opposition” and stated that “every practical proposal concerning questions to which the Workers’ Opposition group, for example, has devoted special attention, such as purging the party of nonproletarians and unreliable elements, combating bureaucratic practices, developing democracy and workers’ initiative, etc., must be examined with the greatest care and tested in practice.” Promoting workers’ democracy, rolling back bureaucratism, these continued to be mainstream Bolshevik goals. 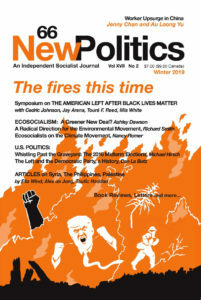 Banning factions, outlawing opposition parties, and other anti-democratic measures were seen as deplorable short-term necessities—not as legitimate components of a “socialist” program—necessary to hang onto state power during the terrible interregnum of the “delayed world revolution,” a phrase Lenin often used. The Workers’ Opposition was constituted in part as a response to Trotsky’s proposal for militarizing labor, a panicky but mistaken and dangerous position he put forward to deal with the collapse of industry and of labor discipline (for example workers in factories hoarded supplies that were needed by other factories) and the desperate need for coordinated planning; later, Trotsky himself repudiated it. But neither Trotsky, Lenin, nor most of the Bolshevik Old Guard and the party as a whole regarded the economic program of the Workers’ Opposition as anything but utterly utopian—and suicidal, if implemented. The Opposition’s demand that management of the entire economy be turned over to the trade unions and a “National Producers’ Congress,” including representatives of an anti-socialist and numerically overwhelming peasantry, simply made no sense under the conditions of 1921. Its call for the distribution of free food and housing, the abolition of money as a means of exchange, as well as for the immediate revival of the workers’ democracy of 1917—these were policies realizable only in an economy in which scarcity had been abolished, not when massive famine and epidemic disease stalked the land (the worst of the famines, the one that killed an estimated five million, had broken out in the spring of 1921), when industrial production had almost come to a halt, when transportation—and thus food distribution—was completely disrupted, and the working class was demoralized, atomized, a meager shadow of its former self. An indication of the Workers’ Opposition leaders’ lack of realism was Kollontai’s bitter speech at the Third Congress of the Comintern that same year attacking the New Economic Policy—the only possible way, as Lenin knew, to establish some sort of modus vivendi with the peasantry. Epstein quotes Stephen Shalom’s reminder that “there can be no socialism without democracy.” Yes indeed, which is why those in the tradition of “socialism from below,” which New Politics has always championed, regard anti-democratic parties and regimes that lay claim to socialism as authoritarian frauds. Despite a superficial resemblance between some of these elements, on the one hand, and Soviet Russia during the Civil War and the early 1920s, on the other, however, there is all the difference in the world. I continue to insist that at least the core of the Bolshevik leadership during this period—except, of course, for renegades such as Stalin—regarded the suppression of democratic rights only as temporary and a lesser evil to collapse and defeat before the European, especially the German, revolution could come to Russia’s aid. In stark contrast, self-proclaimed socialists like Fidel Castro, Ho Chi-Minh, Josef Tito, and Daniel Ortega—not to mention Stalin, Mao, Kim Il-sung, or Enver Hoxha—considered the one-party police state not as a lesser evil but as the very essence of “socialist” government. Lenin, in fact, explicitly denied that Soviet Russia was socialist; it was a workers’ state only in an extremely “deformed” way—mainly insofar as it was led by a party that had socialist intentions. But these intentions could be fulfilled only when help arrived from successful revolutions in the West. Bennett Muraskin challenges the legitimacy of the October Revolution itself, not simply the violations of democratic rights committed by the Bolsheviks after they took power. His defense of the Constituent Assembly is based on the purely formal criterion that it was elected by universal suffrage, while the soviets were elected only by workers, soldiers, sailors, and some of the peasantry. He doesn’t question the evidence I presented that the November election, based on outmoded party lists, produced a body that did not reflect the political will of the majority of the country’s citizens, but nevertheless claims that the Assembly was more representative than the soviets. The Bolsheviks took power on November 7, 1917, because the majority wanted what the Bolsheviks promised to achieve: peace, land redistribution, and a soviet government—and in areas where non-Russians predominated, national self-determination. The Constituent Assembly majority, composed of a large plurality of Right SR deputies along with their allies among the Right Mensheviks and Cadets, wanted to continue the war and continue postponing land reform (and in the case of the bourgeois parties, prevent it altogether). They demanded that the Soviet government dissolve itself. Instead, of course, it was the Assembly that was forcibly dissolved, because it had become an alternative, not a complement, to soviet power, and a rallying point for the counter-revolution. That’s why the Cadets were such ardent defenders of the Constituent Assembly, which they had previously wanted to postpone indefinitely. Muraskin states that the appropriate response to an unrepresentative Constituent Assembly would have been to call new elections. Lenin, in defending the dispersal of the Assembly, wrote that not only was it a counter-revolutionary threat, but that the Soviet Republic already in existence represented a higher form of democracy. This was not some ex post facto excuse, but a position Lenin had been defending since returning from exile in April. Parliamentary states, he argued, had a built-in tendency toward oligarchy. Surely, American representative democracy—in which every few years voters choose among representatives of the ruling class, their campaigns financed by corporate money, who gather in a city far from most Americans but swarming with lobbyists and pro-business think tanks—is a prime example. The system is heavily rigged. In my article I explain, as Lenin did, why government based on directly elected workplace councils—the soviets—would be more democratic than any parliamentary system, and I won’t repeat those arguments here, both for reasons of space and because Muraskin doesn’t present any counterarguments. I will note one curious point, however: Muraskin seems to think there was something sinister in the fact that direct elections in the soviet system would only take place at the local level. But this merely meant that popular control was supposed to flow from the bottom up in a pyramidal structure of workplace, district, city, and national soviets; delegates elected to the district soviets would elect delegates to the city soviets, who would elect delegates to the national soviet. Especially with the addition of the right of immediate recall, it was a way of maximizing democratic power in a large nation, of creating a living, continuous connection between representatives and their constituents. Epstein remarks that my assessment of the Revolution “does not jibe well with the journal’s commitment to ‘socialism from below.’” The phrase comes from Hal Draper’s magnificent article/pamphlet, The Two Souls of Socialism. In distinguishing between socialism from above and from below, Draper, who nonetheless had his criticisms of Lenin and Trotsky, placed the Bolshevik tradition firmly in the latter camp, and I strongly agree. In 1917, the workers, soldiers, and sailors of the Russian Empire made a conscious, highly informed political choice among competing political tendencies. They were not tricked into deciding for the Bolsheviks, and the overthrow of the Provisional Government did not take place behind their backs. They chose a party that, unlike almost all of its rivals on the left, stood foursquare against imperialist war and national conquest and oppression and for the immediate destruction of capitalism and empowerment of the working class.